This summer, senior Ava Embry made a verbal commitment to play collegiate volleyball at Lafayette College. 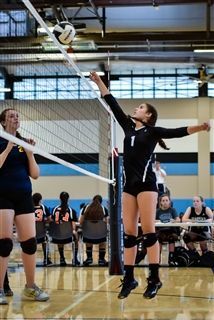 Embry, a versatile setter, plays for the Pacific Ridge Girls Varsity Volleyball team as well as the San Diego Volleyball Club. The Division I Lafayette Leopards compete in the Patriot League.